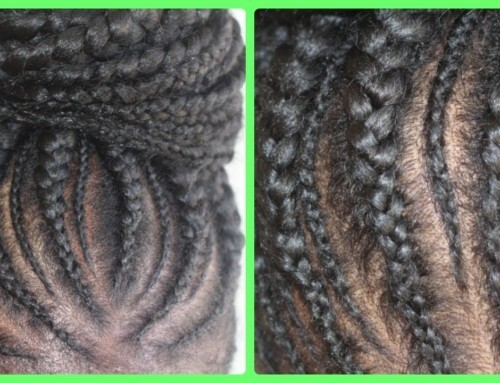 Thanks for checking out another TM hair products video about Easy Fulani Bun. In today’s video she is finally parting with this hairstyle. She is finally gonna say goodbye to these braids. 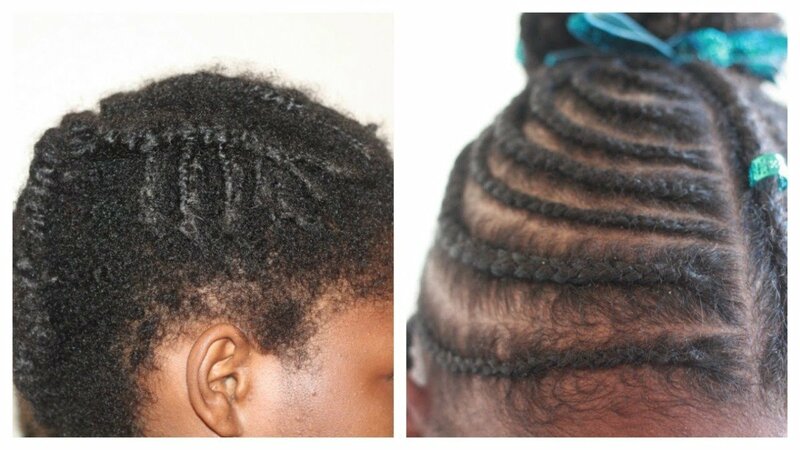 The product that I’ll be using to detangle her hair is TM hair products smooth through detangler. I’ll be using that to detangle her hair and if you want to see a detailed detangling video I will put one in the link of this video. Now a lot of times you guys ask me how do I keep their hair moisturized this is what I use TM hair products perfect assist styling aid to keep their hair moisturize and you can see the difference between her new growth and her hair that’s braided. Her old hair is still moisturized. Her hair has been shampooed, detangled, deep conditioned and her hair’s been rinsed. 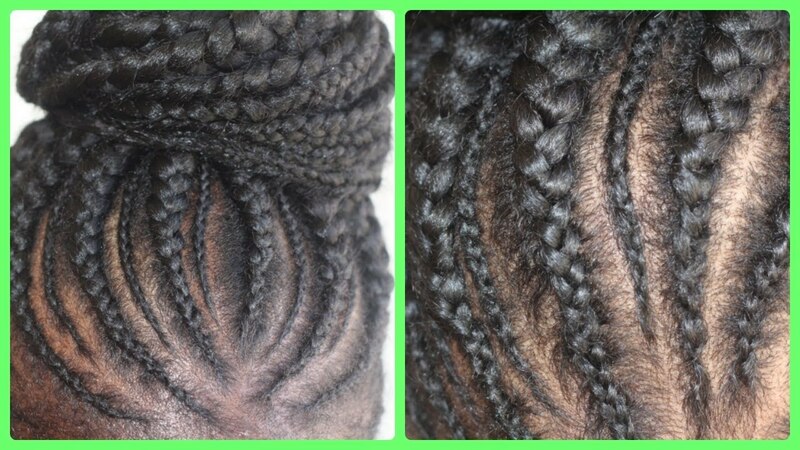 Now all I did was separate her hair into two sections, the front and the back, and all I’m going to do is twist the back up in two strand twist and then I’m going to do a Fulani inspired style in the front. You’ll see that shortly. If you’re interested in purchasing these products there will be a link in the description portion below. Also I want to give a shout out and a call-out and I don’t know if you can really do that on social media but that’s what I’m going to do today and her Instagram name is Revadaughter one word Revadaughter and I am calling her out to do this hairstyle and I want to give her a shout out because she supports our channel. She shows us love. She purchases our products. She sends us updates on her daughter’s hair and her daughter is making great progress, so we’re expecting pictures of this style from you. I just want to show her love and appreciate her for supporting TM hair products and there are others of you that will be called out and shout it out – we thank you for keeping us in the loop with the progress of your daughter’s hair and how your children respond well to the and they stop crying and you love the styling a so we really appreciate you here at TM hair products. But the star of this video is the perfect assist styling aid because I’m just trying to re moisturize her hair, give her hair the love that it needs because she wore that protective style for about eight weeks or so. So her hair needs moisture and all I did was part off the perimeter of her hair and I’m going to add the perfect assist styling aid to that and all I did was braid her hair around the front and I used thick braids and thin braids to give it a little more dimension and that is pretty much it. You guys that’s all I did and I think the style came out well, is age-appropriate and you’ll see in pictures shortly that the back I redid the back of her hair because I thought she was going to let me twist it out and wear it down but she’s just when I put it in a bun she liked the bun and that’s all she wanted to do so I read twisted a few of the twists in the back going upward so that it would stay in the bun as you can see this is the finished look. Her hair still wet, the styling aid will dry clear. If you have any questions guys leave them in the comments below. I’ll talk to you guys in the next video. Please share on social media on your facebook, instagram. Again, if you have any questions leave them in the comments below and I’ll talk to you in the next video. Bye guys.